How many of you would buy a car that would drive for you? Does everyone think that self-driving cars would be extremely expensive? Would any of you that wouldn’t drive a self-driving car change your mind if it did not break the bank to get one? As you have probably heard some time in the past few years, several companies have been trying to create self-cars. Examples would be Tesla, Google, and Uber. For a few years now there has never been a set price tag on what something like this would cost. Up until now self-driving cars had been in a very early stage of research and testing. I had thought that technology such as this would just remain unfinished like projects such as the Google Glasses. But an article on Time magazines site, “Here is how Tesla is going to take on Uber,” shows how far they have come. 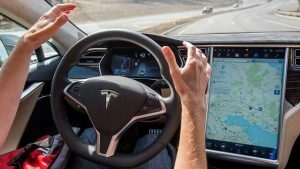 All you have to do to have a Tesla that drives automatically is buy one of their cars, and buy a driverless upgrade for the car. 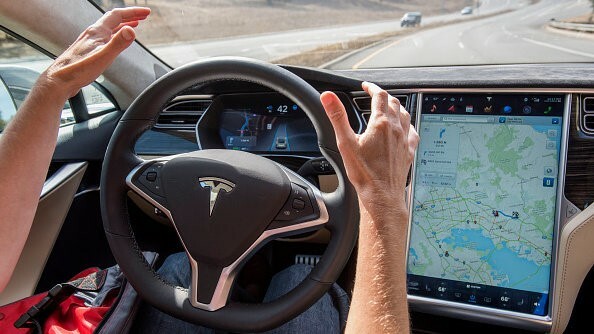 The driverless package only costs $8000, and can be put on any of their current models. This is the first instance of a price tag being put on Driverless cars. All this innovation sounds great but are there other sides to this story. There have already been cases of these driverless cars crashing in the past 2 years. A car company has more stake-holders than many other types of companies, because their products can seriously affect anyone on or off the road. Could it be that Tesla is rushing the technology too much? Also, the introduction of something like this could destroy entire taxi, and other driving job markets all over the globe.